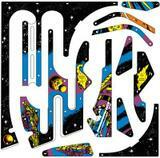 New complete playfield plastic set for Williams PINBOT pinball machine. 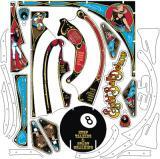 New production pinball playfield plastic set for Bally EIGHT BALL DELUXE. 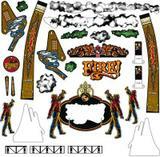 New production playfield plastic set for Williams F-14 TOMCAT pinball. Stern FLIGHT 2000 pinball machine new playfield plastic set. 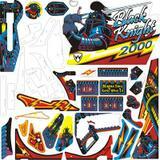 New production of Williams BLACK KNIGHT 2000 pinball machine plastics.